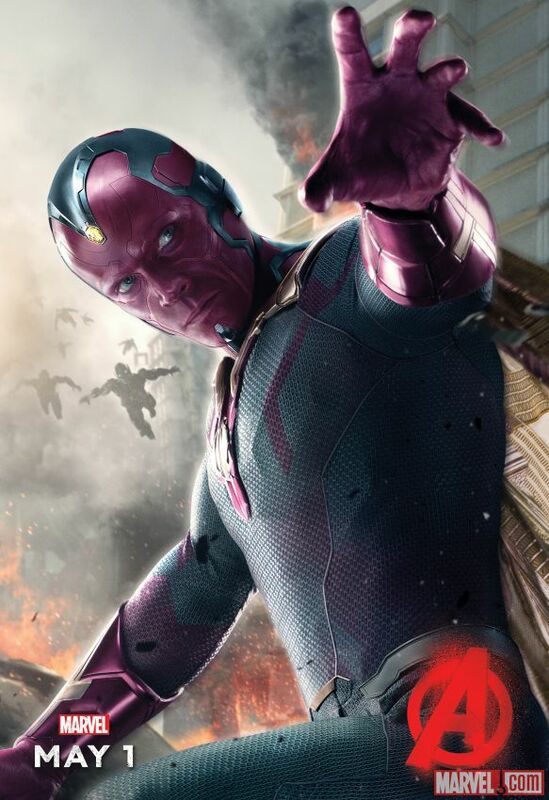 Unveiled earlier today by Marvel, fans are treated to a look at the character poster for Vision (Paul Bettany) in the upcoming Avengers: Age of Ultron. This isn’t Bettany’s first role with Marvel, having provided the voice of J.A.R.V.I.S, Tony Stark’s (Robert Downey Jr.) AI system for Iron Man, Iron Man 2, Iron Man 3, and Avengers. He will resume his role of J.A.R.V.I.S in addition to Vision in Age of Ultron. Avengers: Age of Ultron releases in less than a month on May 1st.